I am really sorry for the lack of posts. I will say, it’s been a long month…a very long month. Mark is back now, but I can’t say that we’ve recovered yet. In the last month our beloved dog, Skipper, passed away. He was always my faithful companion when Mark was out to sea so it was hard to see him go. I know that he’s not suffering though, and that made it a bit easier, but it was still a loss. 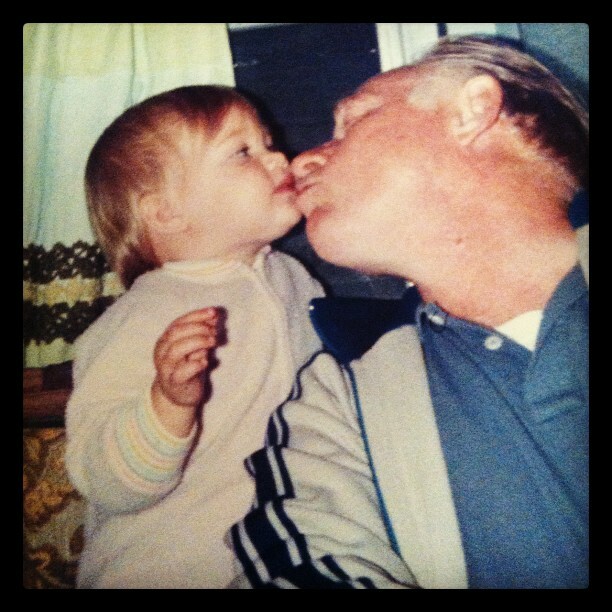 Even more difficult, though, was the loss of my Grandfather. He has always been a large part of my life, and this loss has hit me hard. Adding to it was the fact that Mark wasn’t here to process this loss with me and it’s my first big loss…it was hard. I was blessed to be able to fly home to attend his funeral and I am so thankful for that. I am thankful for the closure that it offered, and hopeful that I was able to encourage my family while I was there. This time I really do plan to update more. As of today both boys are in school! Mark and I are enjoying the morning together combining a date and errand running. Starting tomorrow or the next day Mark will start learning Spanish officially so please be praying for that. I know he can do it, we just hope the language skills come quickly. Thanks for sticking around, sorry it’s been so quiet here lately. This entry was posted in Assimilation, Moving. Bookmark the permalink. 2 Responses to What’s up?! Am sorry you have had so much loss in one month. It will get better and even more home than it already is. You are making it though. You have come a long way. I really admire your courage and commitment to your mission. i feel privileged that i came to know you and now i know more about your family every time you talk about them. Thank you for the updates!!! Mark was able to cram in enough Japanese to be marginally proficient in 2 High School years. He can do Spanish. I have ultimate faith in my baby brother! Ganbatte, Otooto! *achem* I mean, !Puedes acerlo, Hermanito!